Temps are deadly here in the Midwest US. Figured I'd start a check in thread. Indianapolis, IN -11, -37 with windchill. Power is on, staying put. Milwaukee hit -26 last night, with a shitload of wind. Lots of places closed here to keep people indoors. An hour north of Detroit we have between -8 and -10 actual with -26 and lower wind-chills. Honestly, I'm fine with below zero, but when it's windy and it's media-blasting your face with fine snow particles, GTFO. -10 here (Kalamazoo) with windchills in the -25 to -35 range depending on wind speed. (-26) last time I checked in Chicago. Don't for get to drip your faucets! Especially if your pipes are on an outside wall. Ok, I don't WANT to know what you consider cold. 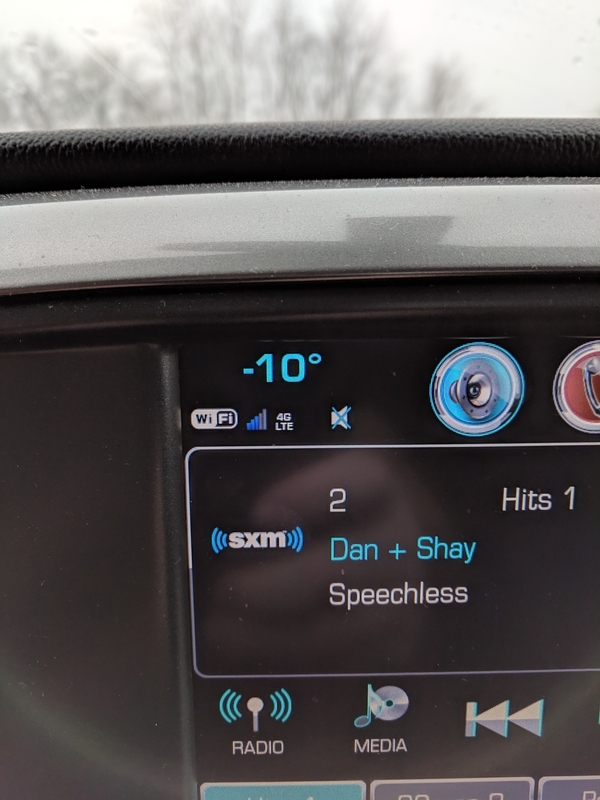 -12 actual and -30 windchill this morning. 4th snow day in a row. I can't wait to go in to work tomorrow for some peace and quiet. But don't worry it will be 40 and raining on Sunday. WTF? Come to New York City, we have double digit warmth! Visit sunny Alexandria! The land of slightly more double-digit warmth than NYC. We definitely don't have boilers than can't keep up! Be warm with us! Last night, the coldest I saw was -15F (-26C) before I peaced out and tried to sleep. The radiators and boiler are having trouble keeping up with this mess, so it's 50F (10C) INSIDE the house. The office where we sit was even colder: 45F (7C) at midnight. Today it warmed up a lot: it's a balmy -1F (-18C) and sunny! It’s 53 right now. Sunday it’s supposed to get up to 70. Not sure how I’m going to survive this. Tomorrow won't be so bad. I'll probably head into the office. School just called off for tomorrow making it an entire week, and 7 of the last 9 days (Monday was a holiday last week). Oldest: I love all these snow days. It's great! Me, outside today: "Oh wow! It's finally warming up! It's so nice out today!" I've been trying really hard to find a Nine Inch Nails or Jonny Cash Hurt gif to reply to this with, but I have so far struck out. Someone should try to describe what it felt like being outside in that weather for those of us too far south to ever experience such a thing. We have -38 (pretty much the same in f or c) every winter here (in certain places, not everywhere) without the winds. It's bloody cold, but we are used to it and it isn't as humid as you guys have it. (humid cold plus winds is the worst) I hope you guys are allright. Stay safe. Things have improved, was 48 here today, will be like that till Friday then back to like 28... because Indiana makes sense. Michigan says "Hold my Faygo"
55 today. 29 tomorrow afternoon. And Alex, don't forget the freezing rain that we will likely get in the transition.